To ask other readers questions about Cold & Deadly, please sign up. 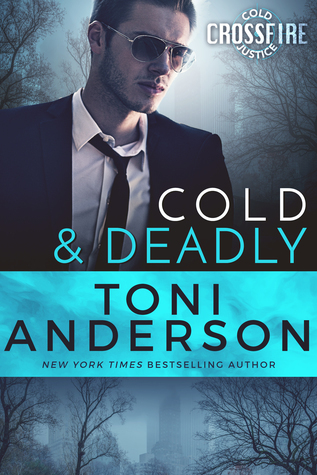 COLD & DEADLY comes out in Feb 2019, and is set in the Cold Justice world, but also forms the start of a parallel crossover series, Cold Justice Crossfire. In Cold Justice Crossfire Im taking a sideways step in the FBIs CIRG (Critical Incident Response Group) into the world of Crisis Negotiators and the Hostage Rescue Team. There will be appearances by reader favorites (Hello, Alex Parker and Mallory Rooney) and wonderful new characters. Readers will get to meet the most amazing new hero, Dominic Sheridan, a veteran FBI negotiator. He meets his match in Ava Kanas, a rookie agent who tends to live by the crash-and-burn approach to life. I loved writing these two characters and hope readers enjoy them, too. Toni Anderson writes award-winning, bestselling, FBI Romantic Thrillers. Start reading the Cold Justice Series for FREE by picking up an ebook copy of A COLD DARK PLACE on any vendor. You can also sign up for her newsletter at www.toniandersonauthor.com and receive another award-winning book. A New York Times and USA Today international bestselling Romantic Suspense author, Toni's novels have hit #1 in Barnes & Noble's Nook store, Top 10 in the Amazon, iBooks, and Kobo stores. Her novels have won many awards, and she's been nominated for the prestigious Romance Writers of America RITA Award. If you want to know when Toni's next book will be out, visit her website (http://www.toniandersonauthor.com) and sign up for her newsletter.